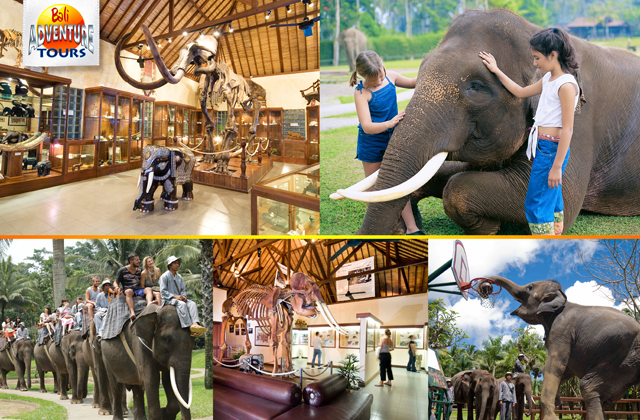 Bali's only theme park specializing in elephants, created for the protection of Sumatran elephants against the threat of extinction. The elephant park, located in Taro, has been designed by experts with great care to ensure that the elephants from Sumatra can enjoy a comfortable life in Bali. In addition to this, animal trainers and keepers have also come from Sumatra to look after them. The animals live in an environment that is close to their natural habitat, so here you are likely to meet lively elephants exhibiting their natural behavior. Enjoy watching the elephants bathing vigorously in the lake, plus some acrobatic performances and art exhibitions. Enjoy getting very close to the elephants, ride on their backs (additional charges apply), feed them, touch them, and take photos with them!